Imagine you are in a country where women have, on average, 7.6 children. In this country, men routinely exercise dominion over every household decision—including the number and timing of children, and what (if any) contraceptive method their spouses will use. Finally, suppose that 94 percent of the population is guided by a prevailing faith in Islam, and religious teachings on contraception are interpreted and spread in very different ways by local religious leaders and clerics. How would you promote the use of family planning? This country is Niger, a landlocked country in Western Africa on the southern edge of Sahara Desert, and one of the poorest countries in the world. 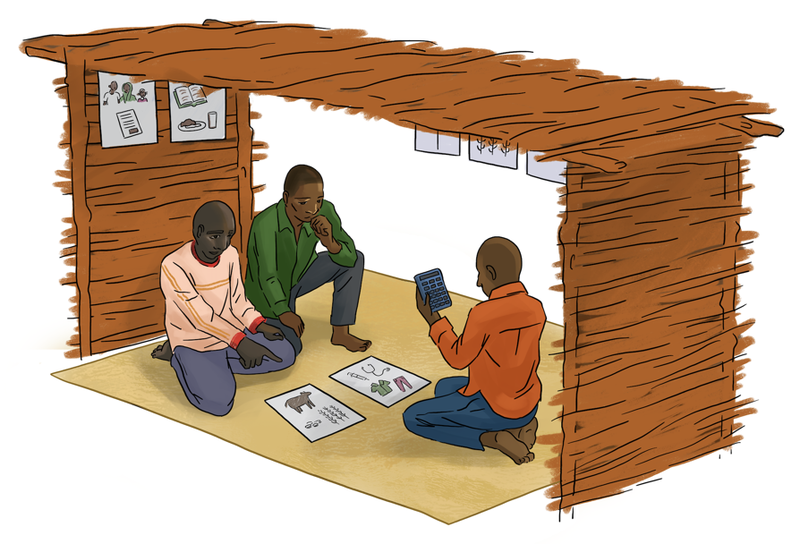 For the past year, a team from YLabs, in partnership with Population Services International, has used user-centered design to develop and test solutions that increase support for reproductive health activities among religious leaders and young men under the Transform/PHARE project funded by United States Agency for International Development (USAID). We worked in 9 villages in Zinder, Niger using interviews, observation, and participatory research activities to explore how religion, social norms, peers, family, aspirations, and financial constraints affect attitudes regarding reproductive health. 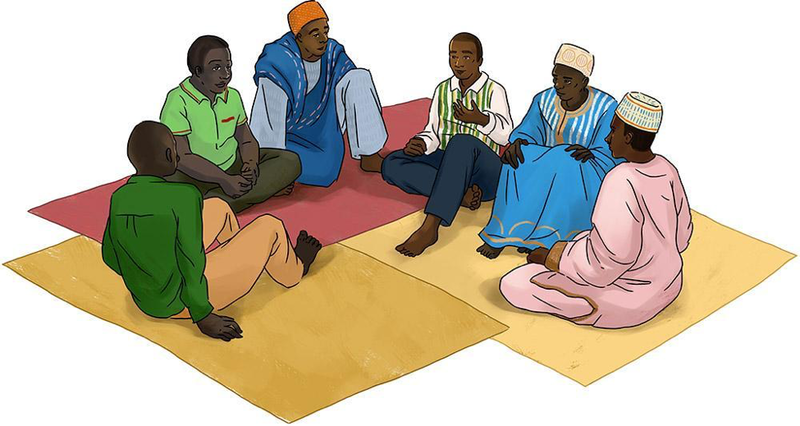 Through these conversations with religious leaders, youth, and communities, we sought to uncover the extent to which young people in rural Niger are influenced by their faith and religious teachings in decisions about the use of family planning. Our research showed that for married women, the primary factor determining contraceptive use was support from their husband. And while men were the main decision makers on contraceptive use, they didn’t consider the financial implications of having more children than they could afford. When men were unable to earn enough to support their family, they would often choose to abandon their wives and children and start a new family, without having to be financially beholden to the family they left behind. This practice routinely leaves women and children especially vulnerable, without immediate avenues to generate income to feed and house themselves. Arranged early marriage, common in Zinder, means that young men and women are entering a union as strangers. As a result, conversations about contraception to space their children or plan for ideal family size rarely happen early in marriage. It is not until the second or third child, when parents begin to feel the burden of parenthood, that this conversation occurs. This presented a unique design challenge for the team. How could we encourage parents, especially husbands, to plan for their ideal family size earlier and understand better the real costs of raising children? Through testing different approaches, we found that a combination of understanding the expenses incurred with having children, combined with exposure to messaging on the religious and moral obligations to provide for and raise their children responsibly helped families understand and visualize how they can work towards achieving a better quality of life for their families. We aimed to design a solution that would help couples determine their desired family size without compromising their religious beliefs, their parental responsibilities or their financial futures. The result was Dede Ruwa Dede Tsaki, “Just the right amount of water for the flour”⏤an approach named after a Hausa proverb that expresses the need for balance. The activity combines two essential elements: 1) a financial planning and budgeting tool facilitated by youth leaders that helps calculate how household expenses increase according to the desired number of children and; 2) religious-themed posters which display verses from the Koran and extracts from the Hadith (teachings of the Prophet) in favor of birth spacing and responsible parenthood. These messages focused on pain points that were commonly held by parents struggling to raise more children than they could afford⏤from the deteriorating health of the mothers, to the struggle to provide food, clothes, and shelter to the family. The posters were hung in fadas, areas in the community where men congregate. Men shared that having a visual reminder which depicts a balanced quality of life would motivate men to discuss these issues openly with one another and help them to hold each other accountable. The budgeting tool was conceived early on in co-creation workshop with young men, where we asked participants to share their current family size as well as the number of additional desired children. Participants were then asked to calculate their household expenses and multiply the total by the number of additional children they wanted. The impact of this exercise was instantaneous. “It’s too much!” respondents would exclaim. These two elements⏤budgeting and religious arguments⏤encouraged informed decision making on desired family size while helping families calculate the financial implications of having more children. What about the impact of local religious leaders on young couple’s family planning decisions? 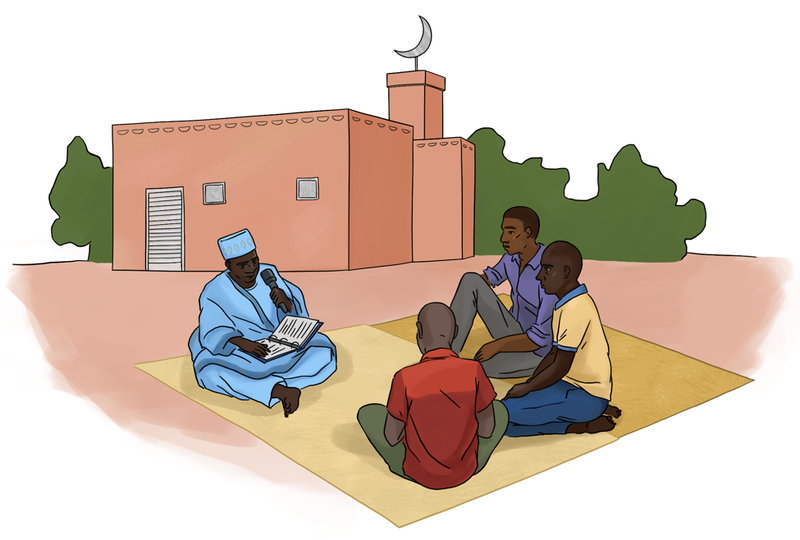 In Zinder, we learned that while religious leaders carry moral authority, they were not considered by youth as a go-to source of information on health matters, even among devout Muslims. Instead, religious leaders indirectly influence decision making among young men and women through their sway over parents and elders, which sets the tone for community norms and values. And although some individual religious leaders support birth spacing, they feared for their reputations if they were to publicly support family planning. Religious leaders were especially concerned about public opposition from the community to their support of family planning which could undermine their authority. Aiming to design approaches that might minimize the risk to religious leaders to publicly support family planning and birth spacing, we found two crucial findings: first strength in numbers was needed to encourage religious leaders to speak up, and second they needed rock-solid back up from religious arguments should they need to build their case. As such, we designed Leaders Engagés, “committed leaders”, a collective that enables religious leaders to serve as agents of change in their community. Through the support of pre-prepared teachings that draw on religious texts, these leaders became comfortable with openly advocating—either through sermons, teaching at the Koranic school, or through private consultations—on the importance of birth spacing for maternal and infant health, and overall family well-being. The design team developed religious justifications within sermons in both audio and visual formats that advocate for birth spacing, wellness, responsible parenting, and condemn spousal abandonment. The content for these sermons was based on direct verses from the Koran and extracts from the Hadith to provide leaders with the religious arguments to justify, defend, and substantiate their positions. For example, the Koran prescribes a period of two years for the mothers to breastfeed her children, while teachings from the Prophet recommend that parents leave their heirs rich and well-off rather than poor and begging. Finally, in speaking with community members about reproductive health, we noticed that there were many misconceptions about the forms of contraception available and their potential side effects. One belief was that an implant could disappear in a woman’s body should she gain weight. Another fear was that using contraception could lead to substantial bleeding and infertility. Such myths were reinforced by group ‘echo chambers,’ as individuals often discussed these issues within smaller groups of neighbors and friends, who become de facto local ‘experts’ for reproductive health matters. We realized that both religious leaders and youth wanted to improve their knowledge and dispel myths about reproductive health. They were willing to do so in a public forum so that the larger community could additionally benefit from more candid discourse. To address this need, we designed Séminaire des Leaders, “Leader Seminars”, community dialogues between religious leaders and youth association leaders to dispel myths and misconceptions about family planning and birth spacing. In this public forum these two influential groups had a forum to engage in candid discourse on the use of family planning for birth spacing. The public nature of the debate generated awareness with the larger community, and set a precedent that could be referenced by young families when seeking family planning. When moderated by a health worker, as often requested by young parents, this discussion also allows the community to improve their knowledge and dispel myths about reproductive health. 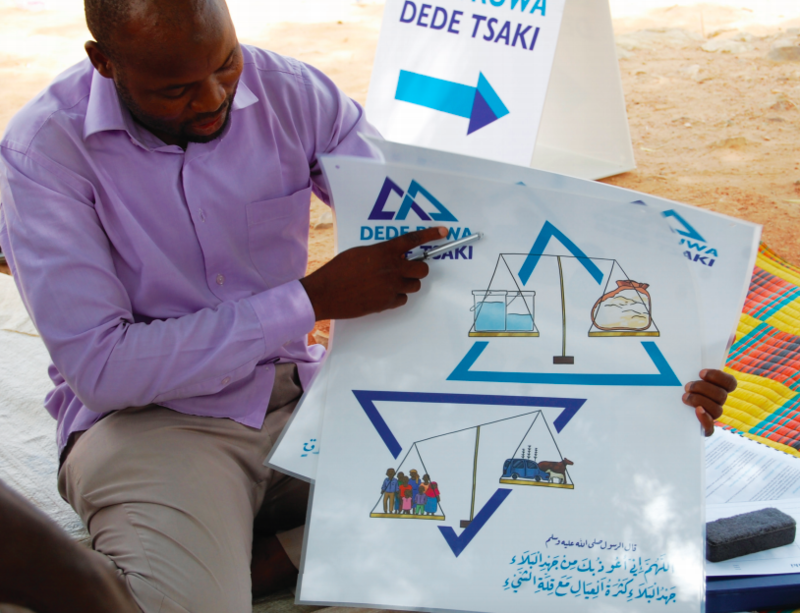 All three activities form Sarari—which means “spacing and comfort” in Hausa—a program developed with and for the community using human-centered design to engage religious leaders and youth to support family planning in Niger. We prototyped and live-tested the program, which is currently being piloted for six months in Zinder. To ensure local support and acceptance for the program, our team formed relationships with village leaders and chiefs who are considered to be the gatekeepers to the community. All Sarari’s tools and materials are tailored to the literacy levels of the community, and the resources available in the local markets for ease of sourcing and sustainability. In these communities, family planning is not an individual decision. Even though a religious leader may not directly influence a young couple’s choice to have more children, they can have an important influence on setting community norms and values, that ultimately guide decisions about family size. Through this collective process, involving over 200 community members, we sought to leverage the power of design to understand how religious beliefs and health needs can be leveraged to improve support for reproductive health in Niger. Over the next six months during the pilot phase, we will continue to learn from Zinderois and improve our programmatic resources in order to ensure our solutions are desirable, feasible and economically sustainable. Who decides about family planning? They do.